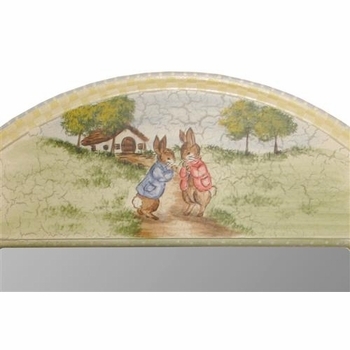 Art for Kids Arched Mirror with an enchanted forest bunny motif is a charming accent for your room. 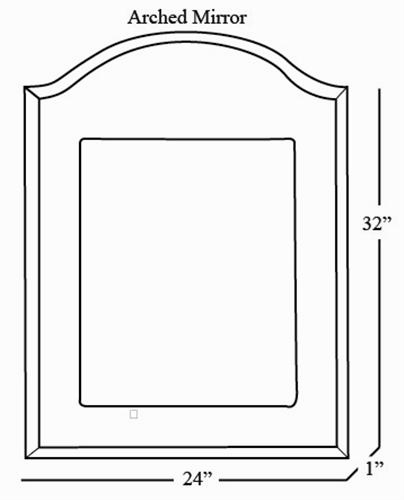 The piece is finely crafted from birch and alder woods and finished with a curved border to provide a nice touch. The mirror is available in two sizes. 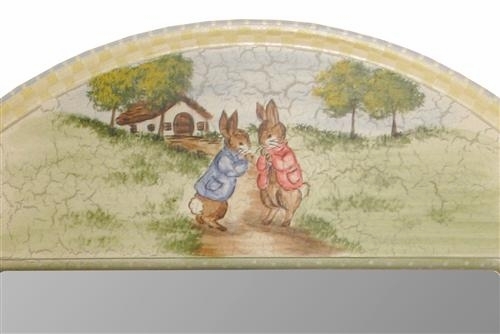 The style can also be done in many other finishes and hand painted motifs. 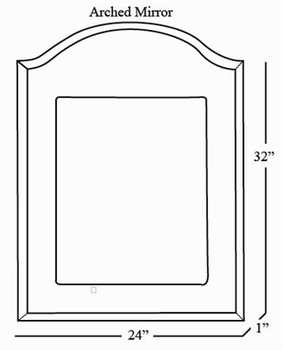 It is a great decorative addition to any design. 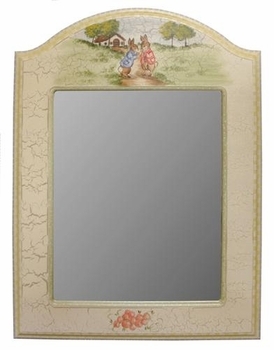 The mirror is custom made to order and ships directly from the manufacturer. There are many finishes and motifs, however, please note that not all finishes and motifs can be made in all colors. For further information or to speak with one of our design associates, please call us at 203-655-0185. Wood chip samples available upon request.